Hawaii consists of a series of smaller and larger islands, but many travelers prefer staying on the Big Island. With its fantastic array of sightseeing options, as well as the active volcano Kilauea to explore, you’ll never run out of fabulous activities. With Shell Vacations Club at The Kona Coast Resort, you can buy a Shell Kona Coast timeshare and enjoy coming back to the same great accommodations every year. The Shell Vacations Club at The Kona Coast Resort gives you the choice between one bedroom and two bedroom villas. All buildings at the resort have two or three stories, and you can request a villa on one of the upper levels to get a better view. Your villa comes with central air conditioning, a private outdoor space for relaxing and watching the ocean, comfortable furnishings and a DVD player. Many also love the kitchens that come standard in all villas and feature a microwave, coffeemaker, refrigerator and other appliances. You’ll also have a washer and dryer too, for light packing and easier travel. During your stay at the Shell Vacations Club at The Kona Coast Resort, you can stop by the pool on Friday nights to experience an authentic Hawaiian luau. The luau is so popular that some guests arrive hours before it starts and lounge around the pool. A dry sauna, two outdoor swimming pools, several hot tubs and a kids' pool are open to guests too. Other popular on-site activities include a playground, tennis court, fitness center, exercise track, volleyball court and a spa. When you buy a Shell Kona Coast timeshare, you'll find something new to see or do every time you visit. 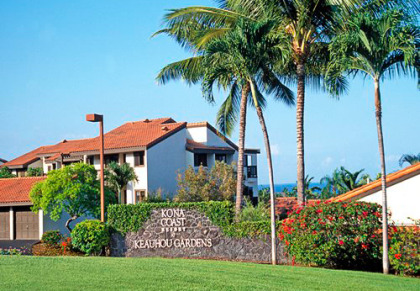 Contact Shell Vacations Club at The Kona Coast Resort Specialist Today! Our family of four stayed in Kona Coast resort in 2010. We thoroughly enjoyed our time on the big island of Hawaii. We spent some relax times at the resort and it did not disappoint. The pool was fabulous, ocean swimming fun when the waves weren't too large, and the service for cleaning, serving drinks, and meals was top notch. Kudos to the group that runs this resort. We also spent time going to neighboring beaches, local aquatic activities such as tour boat excursion with snorkeling and taking in surfing lessons. We also spent some days taking drives to the interior of the island for hikes along the walking trails of the crater rim and viewing the volcanic activity down by the coast line. We found Kona Coast to be an excellent place to go so many of the sites and do the activities available on Hawaii. 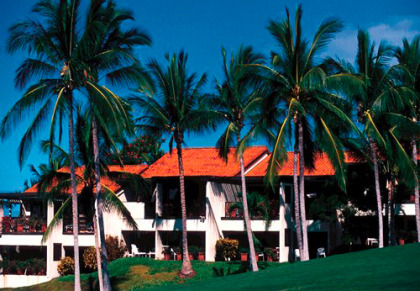 We recommend Kona Coast resort to others with similar interests. Great Place right on the Ocean, a lot of shops and restaurants in walking distance. We had a room on the 4th Floor with a great view of the starting point of the Ironman triathlon held every year on the island. The Bed was very comfortable and the large spacious balcony was the vocal point of our stay as we watched the sunset over the water. the helpful staff kept the entire resort ship shape throughout our stay, and the food there was excellent and not too pricey.